Subaru will debut an XV Hybrid at the MTA100 on April 29 and 30. Subaru of New Zealand (SNZ) is going green and will have its first hybrid vehicle – the XV – on display at the MTA100 at Wellington’s TSB Arena on April 29 and 30. The Subaru stand will be located in The Future Today: Vehicle Technology and Design section, where the very latest vehicles, concept models, new and innovative technologies will be on show. SNZ’s XV Hybrid has been brought into New Zealand as an Evaluation Training Vehicle, to assess the technologies in our domestic environment and it will be used for training purposes within the Subaru network. This vehicle will bring together an eco-friendly, capable, safe and stylish package for those after a hybrid Subaru. With a 2.0 litre, four-cylinder Boxer engine as well as an electric motor, it creates a system that works together to maximise fuel efficiency. Like all other Subarus, the XV Hybrid has Symmetrical All-Wheel Drive technology as a standard feature. While SNZ is enjoying unprecedented growth and success, Managing Director Wallis Dumper says that given production allocation for Subaru vehicles in New Zealand is a struggle, no dates can be confirmed for when the XV Hybrid will be included in the model line-up in New Zealand. “However, receiving this XV Hybrid for training and evaluation is a great start,” Mr Dumper says. The MTA100 exhibition will also feature a Subaru cut-away vehicle, which displays all the technologies included in Subaru’s all new Subaru Global Platform (SGP). This new platform has literally been recreated from the ground up, and underpins the foundation for all Subaru vehicles in the future, with the all-new Impreza 2.0 Sport, the first Subaru built on it. This new platform creates a greater driving experience, with enhanced capability, safety and comfort. The SGP has been created with the driver in mind, with a smoother ride quality and reduced vibrations. Stability has been increased, with high-response handling, along with an even lower overall centre of gravity. 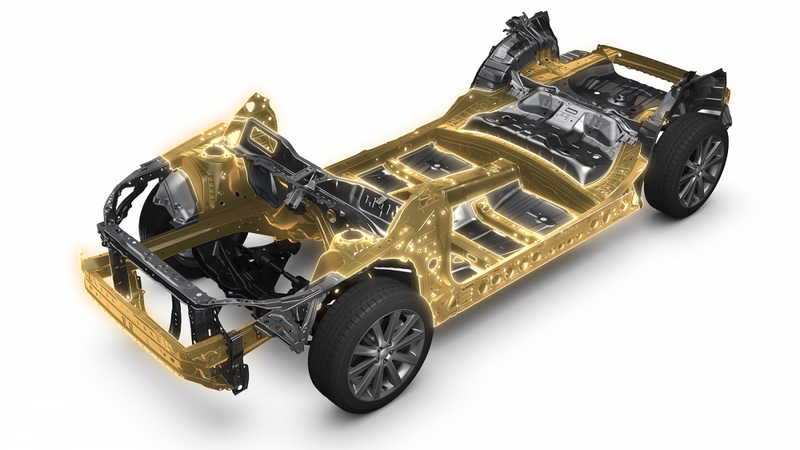 Refined chassis rigidity, which is 40% stronger, also means there is reduced body roll on this new platform.